Downtown Las Vegas houses many bars and restaurants, making DTLV the prime location to venture out on a pub crawl. Along your tour and stops to different bars, you’ll be able to experience unique bars that attract many different crowds. 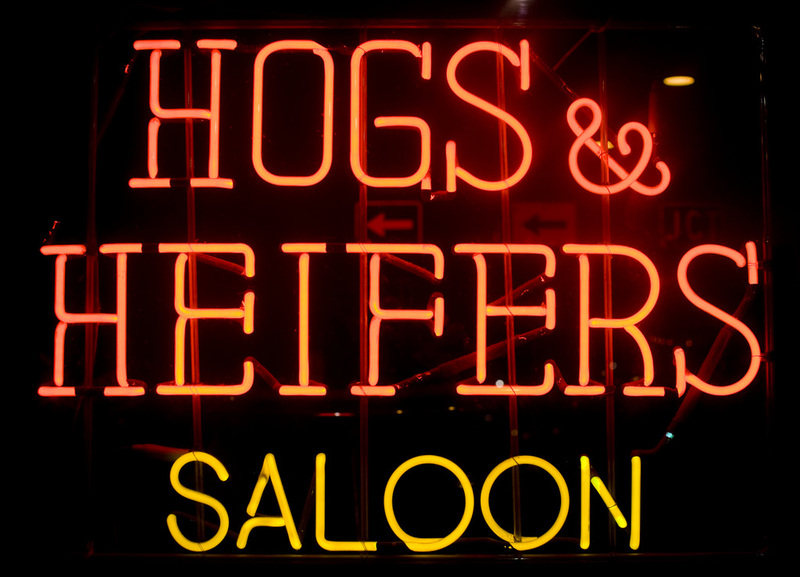 Perhaps the most unique bar you will walk into in downtown is called the Hogs and Heifers Saloon. At many establishments, the company strives to offer friendly customer service, but at Hogs and Heifers, you won’t hear many please’s and thank you’s (that’s okay, it’s part of the gimmick). Here you’ll find the street out front lined with Harley’s, the bartenders dancing on top of the bar and after a few rounds, you may find the courage to join them. Don’t be intimidated; you’ll have a blast dancing to country music and shooting some pool. You’ll never find anyone wearing a suit and tie in this establishment, and if you do, you can expect a few heckles, but it’s all in good fun. Like any good dive bar, the walls are lined with the memories of all who have experienced some of the best times inside the establishment. After all, it wouldn’t be a proper Las Vegas pub crawl without a great story to tell your friends later. And if you can’t seem to remember everything that happens, there is a photo booth inside that may help jog your memory. Want to bar hop in Downtown Las Vegas? Vegas Pub Crawler offers a unique, fun-guaranteed experience. Plan a birthday party, bachelor/bachelorette party, corporate event, wedding party or a night out on the town pub crawling via a pimped-out, multi-rider cycle. To book your Las Vegas pub crawl, pedal over to our website.